Overshadowed as it is by the two World Wars, the war between France and Germany from 1870 to 1871 is a topic many French and German people are not familiar with, even though it represents a key moment in the relationship between these two countries, around which the future of Europe would be built. The “année terrible”, as it was described by Victor Hugo, ended in a civil war, the Paris Commune. This was no accident but rather the natural outcome of a pre-existing process that the social tension and wave of patriotism triggered by the French defeat had helped to create. 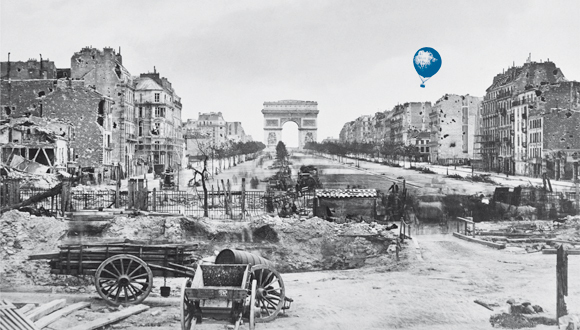 The exhibition aims to offer a new perspective on the Franco-German War of 1870-1871, including points of view from both France and Germany, either from the time or in retrospect. The conflict is examined within longer chronological contexts: firstly from 1864, the beginning of the German wars of unification, up to the “War in sight” crisis of 1875; secondly from 1813, the year of the German Wars of Liberation (Befreiungskriege) followed by the 1815 Congress of Vienna, up to the Treaty of Versailles in 1919. Many traces have been left in the arts, literature or in the urban environment by the combatants or witnesses of the war, such as the La Défense district in the west of Paris, or the Victory column (Siegessäule) and the Strasse der Pariser Kommune in Berlin. These will be examined in the exhibition through a wide variety of objects, paintings, sculptures and an exceptional collection of photographs from the time. The important political, diplomatic, military, ideological, social, economic or religious developments that resulted from these events will also be explored. Open every day except 1 May, 10am to 6pm. Admission: €12 to visit the exhibition and the permanent collections; €8.50 concessions and on the first Monday of the month; free for under-18s. Guided tours, activities for young people, film cycle, concerts, conferences, etc.